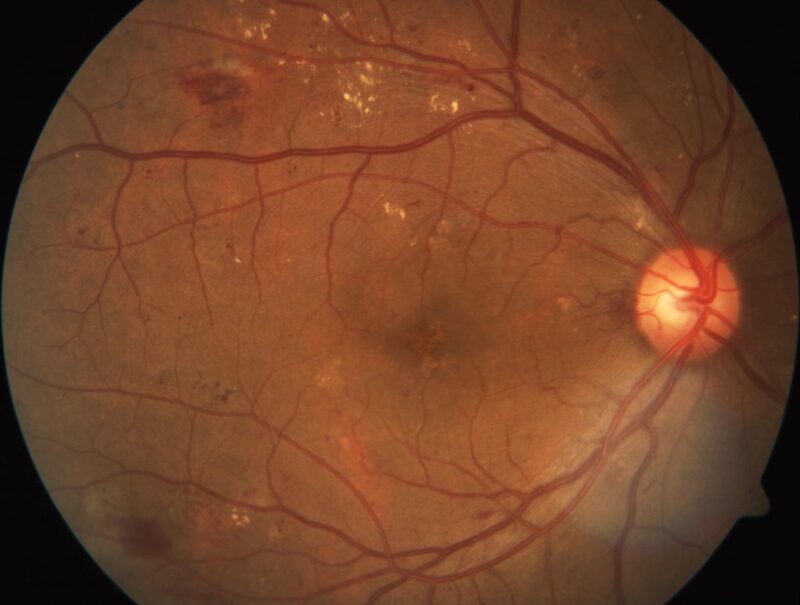 Retinal images like this one here may hold to the key to detecting mental health disorders. The eyes have often been quoted as being the ‘windows into the soul’, but what if they are actually windows into our brain? Some neurological conditions, such as schizophrenia, are accompanied by physiological changes in the eye. In fact nearly 60 percent of adult schizophrenia patients experience some kind of vision distortion. Do these changes, or different ones, occur in other brain disorders? And if so, could detection of tiny changes in our eyes be used to predict, diagnose and monitor conditions such as post-traumatic stress, anxiety, eating disorders, major depression and alcohol dependence? To answer these questions our scientists at the Australia e-Health Research Centre have partnered with the Hollywood Private Hospital in Perth to conduct the world’s first large scale ocular biomarker study for mental health disorders. This collaborative research project will investigate whether monitoring changes in the retina can allow specialists to more effectively detect and diagnose brain disorders. Current methods of diagnosis for these mental health disorders are complex and subjective, making diagnosis difficult and misdiagnosis frequent – which means patients aren’t always getting the best treatment for their illness. The trial will look deeply into the eyes of 200 patients using retinal photography, optical coherence tomography and pupillometry to try to determine if eye biomarkers are specific to different disorders, and if they can be used for early detection and diagnosis. A simple detection and diagnosis system for mental health illness … that’s our vision. Find out how we’re using technology to save the sight of rural and remote Australians. I have recently read that changes predicting Alzheimer’s development have been seen on the retina. This field is exciting as the retina is believed to be an outgrowth of the brain, and readily observable. On topic , does cholesterol formation inclusions in ocular aquium signify a bipolar or other neurological condition ? If successful Insurance companies will benefit the most. Are any of these ocular markers associated with migraine auras? I know the auras are something the brain “invents” but I was wondering if there is also a physiological effect on the eyes? I wonder if Iridologists’ beliefs and practices could be investigated now?